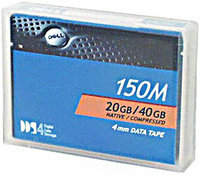 Certance - CDM40 CERTANCE - DDS-4 DAT 4MM 20/40GB 150 METER CARTRIDGE (CDM40). NEW. IN STOCK. MINIMUM ORDER 20 PCS. SHIP SAME DAY. 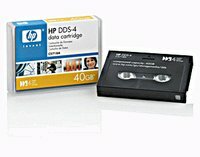 Hewlett Packard - C5718A HP/COMPAQ - 4MM DDS-4 150 METER 20/40GB DATA CARTRIDGE (C5718A). NEW. IN STOCK. MINIMUM ORDER 10 PCS. SHIP SAME DAY. IBM - 59H4456 IBM - 4MM DDS-4 150 METER 20/40GB TARE CARTRIDGE (59H4456). NEW. IN STOCK. MINIMUM ORDER 10 PCS. SHIP SAME DAY. 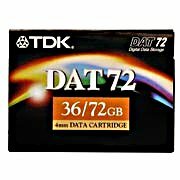 Quantum - CDM72 QUANTUM - 4MM DDS-5 170 METER 36/72GB DAT 72 TAPE CARTRIDGE (CDM72). NEW. IN STOCK. MINIMUM ORDER 10 PCS. SHIP SAME DAY. 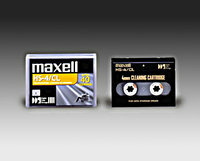 Hewlett Packard - C8010A HP/COMPAQ - 4MM 170 METER 36/72GB DAT 72 TAPE CARTRIDGE FOR DDS-5 (C8010A). NEW. IN STOCK. MINIMUM ORDER 12 PCS. SHIP SAME DAY. 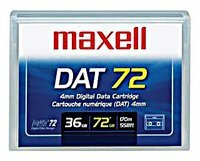 MAXELL - 200200 MAXELL - 4MM 170METER DDS-5 DAT72 36/72GB DATA CARTRIDGE (200200). NEW. IN STOCK. MINIMUM ORDER 10 PCS. SHIP SAME DAY. 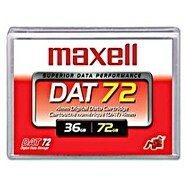 Hewlett Packard - C8010A 4mm DDS5 DDS-5 DAT 72 DAT72 36 72GB DDS Data Cartridge Tape. NEW SEALED PRODUCT. 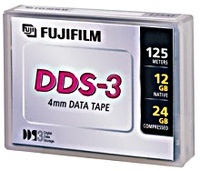 IBM - 18P7912 IBM - 4MM 36/72GB 170 METER DDS5 DAT 72 TAPE CARTRIDGE (18P7912). NEW. IN STOCK. MINIMUM ORDER 10 PCS. SHIP SAME DAY. 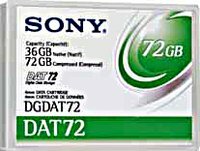 Sony - DGDAT72 SONY - 4MM 36/72GB 170 METER DDS5-DAT 72 TAPE CARTRIDGE (DGDAT72). NEW. IN STOCK. MINIMUM ORDER 10 PCS. SHIP SAME DAY.